Hurricane Maria survivor Salvador Gabriel Colon, the 15-year-old son of Presidential Leadership Scholar alum Marta Colon, has launched a crowdfunding campaign called “Light and Hope for Puerto Rico” with the help of PLS alumni. 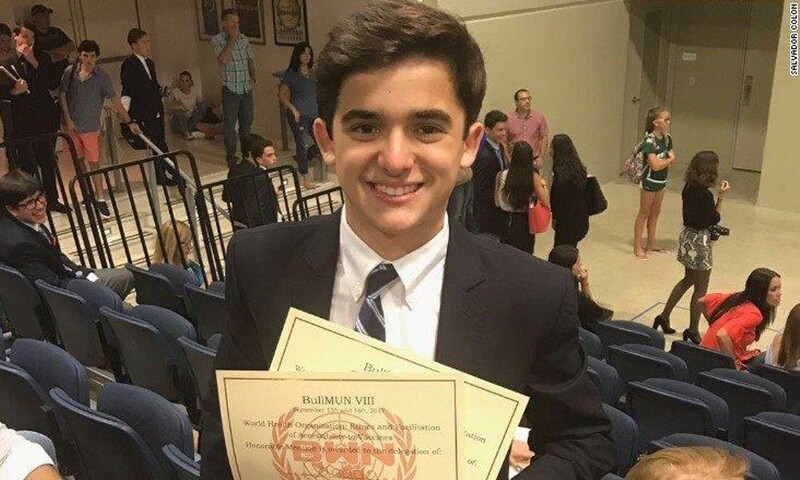 Hurricane Maria survivor Salvador Gabriel Colon, the 15-year-old son of Presidential Leadership Scholar (PLS) alum Marta Colon, has launched a crowdfunding campaign called “Light and Hope for Puerto Rico” as he remains hunkered down in his family’s apartment rationing food and water to survive. The campaign will raise funds to buy portable lamps and washing machines for residents in some of the worst affected areas of Puerto Rico. Salvador Gabriel has raised $51,000 of his $100,000 target. Neha Misra, PLS alum and co-founder of Washington D.C-based non-profit Solar Sister, is helping Salvador Gabriel with his mission, along with other PLS alumni who are helping fund the initiative. Learn more about this story on CNN here. For more information on the Presidential Leadership Scholars program, please visit our website at https://www.presidentialleadershipscholars.org/.